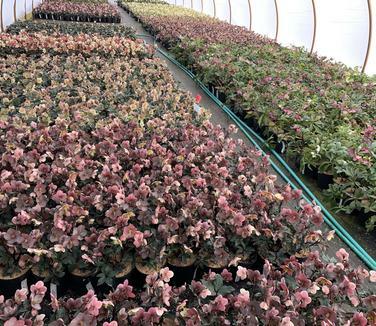 New plant introductions and unusual containerized Woody Ornamentals, Vines, Perennials, Grasses, and Ferns are featured at Pleasant Run Nursery. 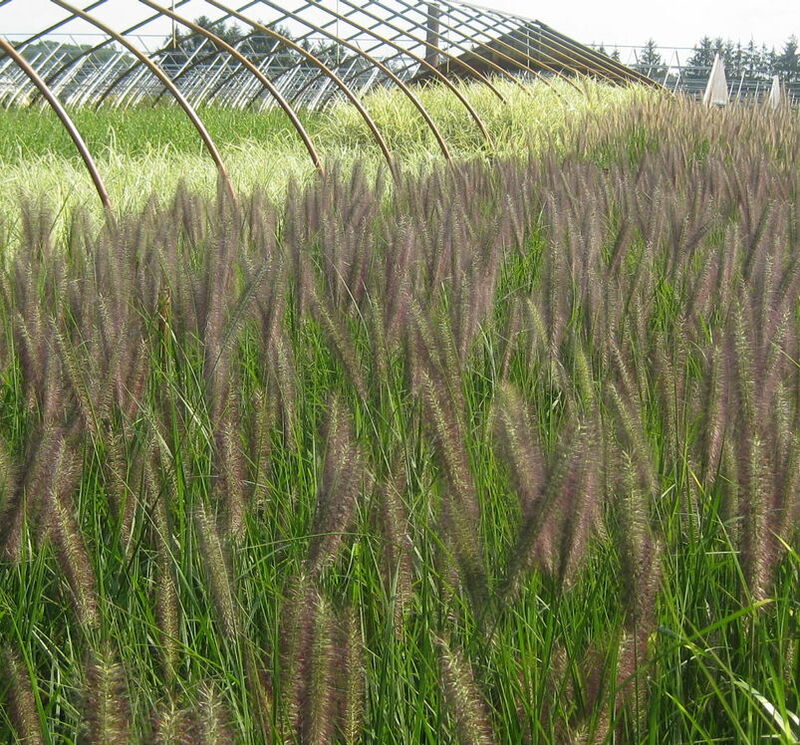 Our focus is on native plants and hard-to-find solutions to site problems such as deer, shade and moist or dry sites. We are open all year and encourage you to visit the nursery to discover new plant varieties for your Garden Center or landscape projects. We also offer deliver within NJ and surrounding states from CT to MD. 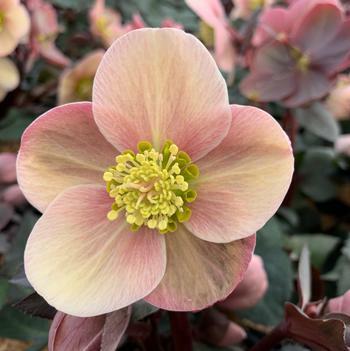 Want color now ..... add Helleborus or Lenten Rose to your gardens! ﻿What a great way to add color and interest to the landscape at an otherwise dull time of year! 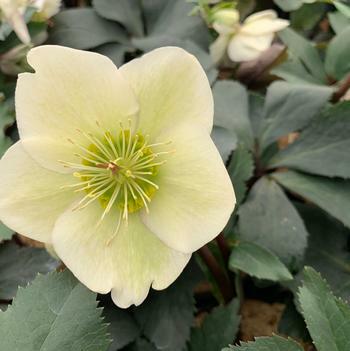 Hellebores are hard working perennials that should be included in almost every landscape as they thrive through drought and deer pressure. 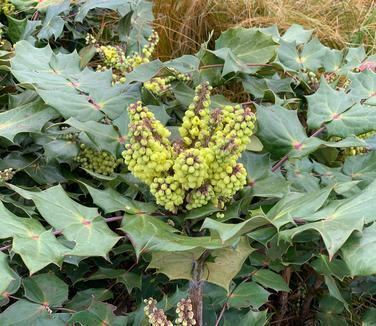 Not only are they beautiful but the newer varieties have interesting mottled evergreen foliage as well as outward-facing flowers. 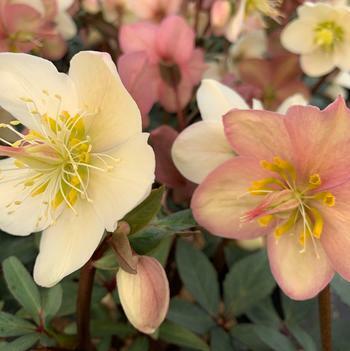 Great for containers.Many varieties are blooming right now..... add these to your woodland gardens for many years of enjoyment.